Clear amber color. Aromas of cinnamon rooibos tea, clover flower and sliced apples, honey, and wet grain with a round, vibrant, fruity medium body and a warming, medium-length caramelized plum, tobacco and milk chocolate, lush field after the rain, and fruit cake finish. A rock-solid blended malt scotch that will make a super-satisfying highball. Bottom Line: A rock-solid blended malt scotch that will make a super-satisfying highball. 90 • John Barr Reserve Blended Scotch Whisky 40% (Scotland) $24.99. 87 • Jura 10 Year Old Single Malt Scotch Whisky 40% (Scotland) $.00. 94 • Jura Seven Wood Single Malt Scotch Whisky 42% (Scotland) $79.99. 93 • Jura 18 Year Old Single Malt Scotch Whisky 44% (Scotland) $129.99. 89 • Jura 12 Year Old Single Malt Scotch Whisky 40% (Scotland) $45.00. 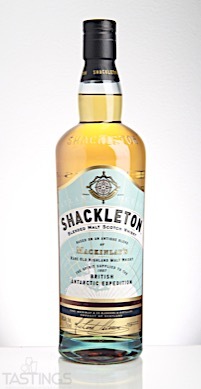 85 • Shackleton Blended Highland Malt Scotch Whisky 40% (Scotland) $34.99. 93 • The Dalmore 12 Year Old Single Highland Malt Scotch Whisky 40% (Scotland) $65.00. 95 • The Dalmore 15 Year Old Single Highland Malt Scotch Whisky 40% (Scotland) $110.00. 94 • The Dalmore 18 Year Old Single Highland Malt Scotch Whisky 43% (Scotland) $200.00. 92 • The Dalmore Portwood Reserve Single Malt Scotch Whisky 46.5% (Scotland) $99.99. A blended malt Scotch is not a blend from one distillery, but rather a Scotch whisky made from different single malt whiskies made by several distilleries. The difference between a blended Scotch whisky and a blended malt Scotch whisky is that the former has grains other than malted barley, while a single malt, as per the name, is produced solely from this one grain. 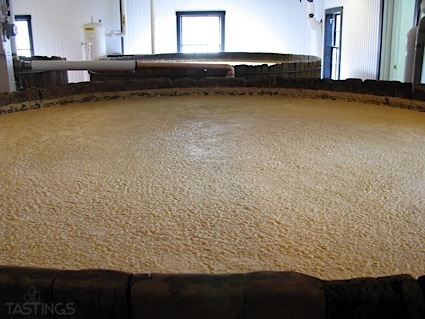 There are various production methods as far as aging with the blended malt Scotch whiskies and various levels of quality, with some produced for mixing with soda or in elegant cocktails, while the finest are meant for sipping in a small snifter. Most of them, given their heritage, have a smoky, peaty character with notes of honey, roasted nuts and a touch of pepper and other spices. Shackleton Blended Highland Malt Scotch Whisky rating was calculated by tastings.com to be 85 points out of 100 on 8/23/2017. Please note that MSRP may have changed since the date of our review.